I met him at Jack Russell Memorial Stadium in Clearwater, Florida, when the Toronto Blue Jays, whom he was a coach for, came to play the Philadelphia Phillies in a spring training game. During the strike in 1995, the Blue Jays refused to allow their Major League coaching staff to work with the replacement players. Instead, they used Minor League coaches. 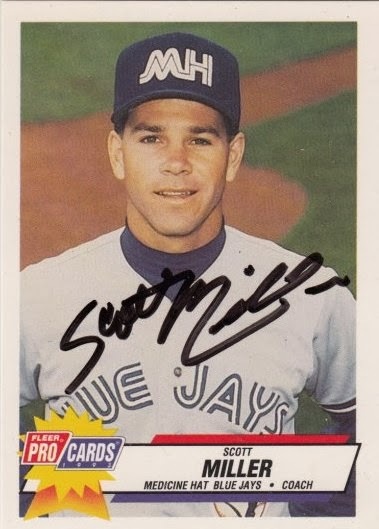 Scott signed a 1993 Fleer Pro Cards card #3754.